We are BIG fans of grilling. Not just during the summer either. My and Mr. Napping’s first Christmas after we were married, I was just getting over some terrible morning sickness and we splurged on some salmon for our Christmas Eve dinner. Mr. Napping grilled that delicious fish in the snow. I am always looking for a good marinade or rub to grill with. In the past few months, I have started using coconut oil more often. 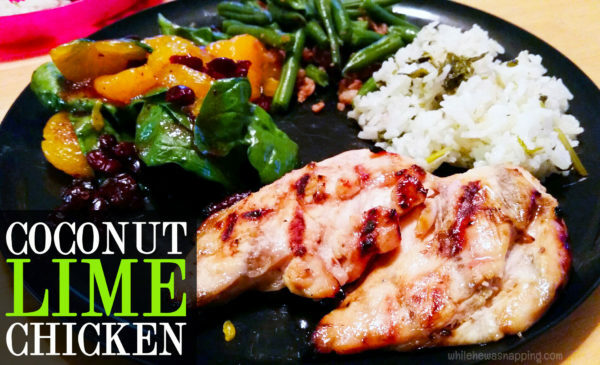 This lead me to coconut milk… and the most delicious marinade I have managed to concoct. And it’s just three ingredients. 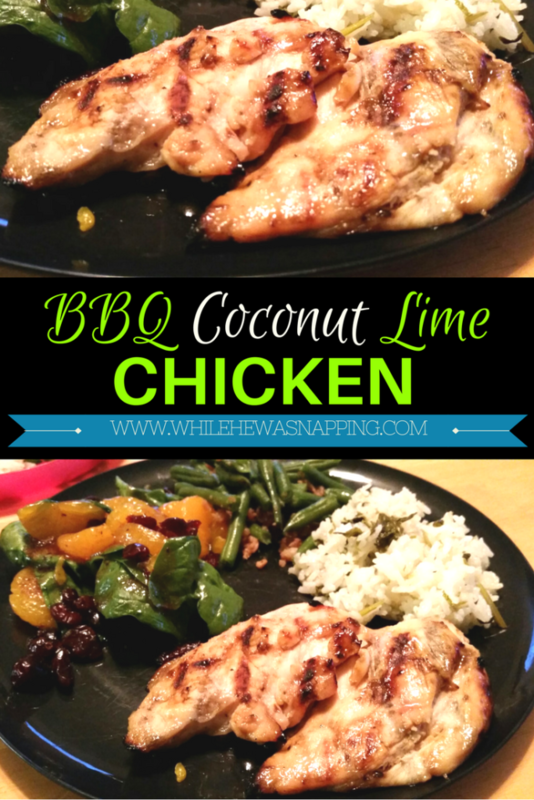 Ready for some delicious, hot off the grill Coconut Lime Chicken? - Thaw the chicken breasts if they frozen. - Warm the can of coconut milk in hot water. Coconut milk can be solid or partially solid at room temperature. Warm it up and mix the milk with a whisk until it's all homogeneous and combined. It just needs to be warm enough to mix together. - Combine the lime juice and the ground ginger with the coconut milk and mix together. The ginger sometimes clumps up, try to break it up as much as you can. 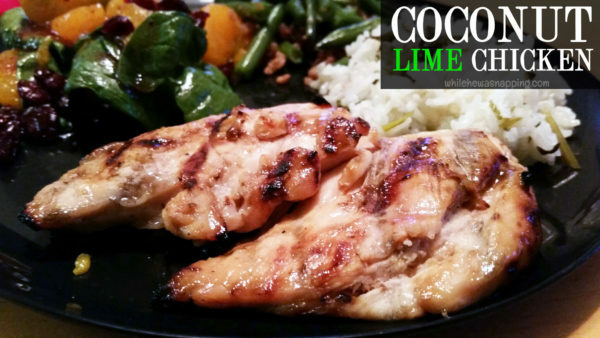 - In a large container (preferably with a lid), pour the coconut milk marinade on top of the chicken breasts. Put the lid on and shake the container to help the marinade get between the pieces of chicken. - Let the chicken sit in the marinade for at least 4-6 hours, overnight is ideal. - Cook the chicken. My preferred method is on the grill, but these are delicious baked in the oven as well.